Take one look around our Maui Waterfall and Rainforest Hike, and you’ll immediately understand why it’s our most popular hike in this region. With breathtaking waterfalls, crystal clear plunge pools, and freshwater streams, it could easily be considered heaven on earth. The adventure begins through the lush rainforest. As you hike, our naturalist guides will share the secrets behind Maui’s wonders. You’ll have an opportunity to explore along the way too—jumping from rock ledges into several falls, before finally ending the day with under the cascades of a real Hawaiian waterfall. Follow two streams to 3 to 5 breathtaking waterfalls from 10 to 40 feet high. Swim and jump (optional) into large pools under several of the falls. Climb volcanic shelves at 3 of the falls to leap 10 to 15 feet off rock ledges. Popular Valley with private trails situated along the Hana Highway. The Park & Ride meeting location is along a large concrete wall with a single row of parking facing Hwy 380 west of Hwy 311 just before entering Kahului. GPS – No physical address, but it is at the Intersection of Highways 350 & 380. Highway 31 (Pi’ilani Highway) – head north. Follow airport signs to Kahului, bearing right onto Hwy 311. After 10 minutes, look for big church (King’s Cathedral), then move into left lane. Turn left onto Hwy 380 (Kuihelani Hwy). Go 200 yards and turn right into “Park n’ Ride” commuter lot. Park your car against a concrete block wall. Head south on Highway 30 as if you’re going to Kahului Airport. Turn right onto Hwy 380. Five miles down 380 there’s a concrete block wall on left. Turn left across highway into Park n’ Ride commuter lot against that wall. The Maui Waterfall & Rainforest Hike is our most popular in an amazingly unique valley. Dazzling waterfalls from 10 to 40 feet high, large clear swimming pools under each of the falls, magical rainforests, and freshwater streams. 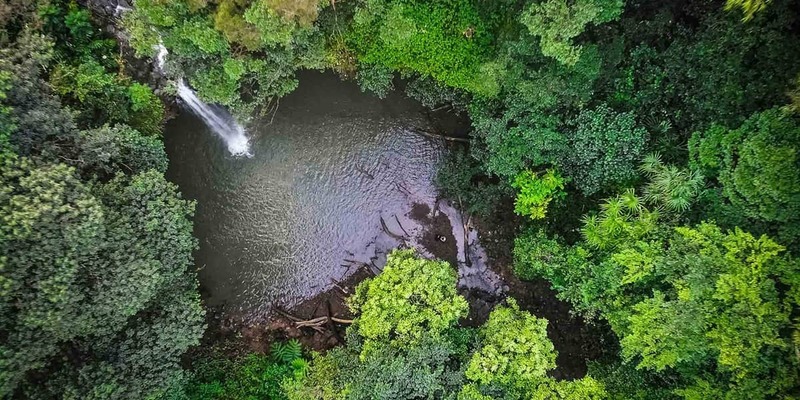 It’s an exciting adventure where you can jump safely from rock ledges into several falls and learn about Maui’s wonders from our naturalist guides. End the day with a “shower” under a real Hawaiian waterfall. This is the perfect choice if you want a short, easy walk to two waterfalls in our gorgeous Maui rainforest valley. There’s plenty of time to swim and jump from waterfall ledges into deep freshwater pools, plus learn about the island and its rainforests from our knowledgeable guides. Fun, easy, and great for families, or if you are limited on time. Take a Maui sunset sail aboard Trilogy's safe and comfortable ocean sailing catamaran. Our sunset cruise provides the most romantic way to experience the beauty of a Maui sunset.